I just saw this post on Facebook's Future Ready Librarians Page and simply had to share. I set up 4 areas in the room as centers. Each center had tables with two 3D “I Spy” boards, three collage type “I Spy” boards and 10 movie look and find posters. Each center also had a comfy area with a tub with 12 books (I Spy, Where’s Waldo, Can You See What I See?, Look and Find, Spot the difference, etc) and a bucket with 2 memory games and a Spot It game. I had 4-8 kids in each center....they stayed in their center and used all of the items throughout class...with kindergarten I used the last 10 minutes as a whole group on the smartboard with an I Spy cd-rom game I got years ago from Scholastic. 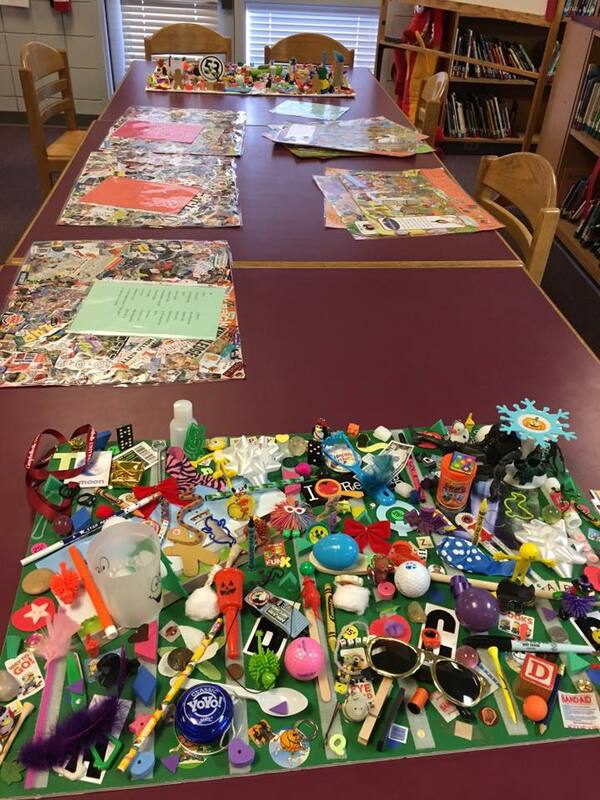 I’ll leave the library set up this way this week and next and kids will go to a different center on their next visit (same materials just different things to find). I think I’ll also use them for a family night next year....probably have them look at a board and write their own rhyme and list for it then switch with another family and try to find the items they wrote down. Anyone have any other ideas to add to either the library centers or a family night????? I also think it would be a great MakerSpace activity for the older, secondary ed students to create these for the younger, elementary ed students. I absolutely love learning new ideas from my PLN! It's important that we all connect, share, learn & grow together!